Three months prior, The Flood Brothers were tearing the roof off and getting down, opening up for Samantha Fish, in front of a sardine can packed crowd at the Rose Music Hall in Columbia Mo., but when they took to the stage at The Mission in Jefferson City, Mo. on June 16 they were playing for a much smaller audience, a few seated, and at the height of the night, no more than a dozen, including The Mission’s staff. However, the tiny turnout didn’t stop The Flood Brothers from giving their all. On a scorching hot Saturday night in the state capital, The Flood Brothers brought their own brand of heat, in the form of minimalist rocking blues. “We’re not really socially connected here,” vocalist Gabe Meyer said in relation to the small crowd. “We’re terrible at self-promoting,” Meyer continued. “It’s a different scene here,” drummer Jacob Best said. Best further explained that because of the amount of young people in Columbia something is always going on. The band relocated from Hannibal, Mo. to Columbia in 2008. “We’re trying to blow up in Missouri,” Best said. The band isn’t only sticking to their primary base of operations of Columbia. Kansas City, St. Louis, Jefferson City and Warrensburg have also been stops for them. 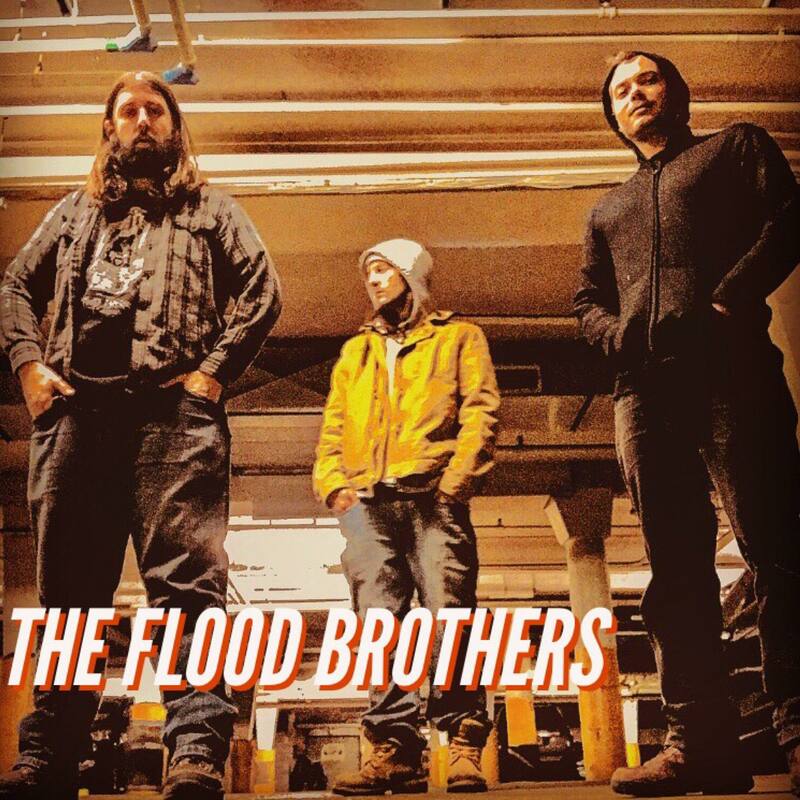 The music of The Flood Brothers is a rowdy combination of Delta Blues and rock, with a steady pace, becoming groove like. One can hear the influence of R.L. Burnside as well as ZZ Top within the band’s sound. Meyer brought an impressive amount of energy to the stage, singing, moving and grooving, and at one point, he looked as if he was marching or running in place. While Meyer looked all the part of the wild frontman, the rest of the band seemed more subdued by comparison, yet still locked into the music. They did a total of two sets, taking a brief break around 10:00 p.m.
On why they play the blues, Best said it’s the roots of a lot of music. He also noted that The Flood Brothers have been influenced by more than one genre of music. A noticeable standout moment in their set was the song “Taillight Nights,” a song with a 1950’s doo wop sound, more melodic and less raucous. When hearing this one, I couldn’t help but think of the part in “Back to The Future” when Marty McFly’s hand starts to disappear while playing “Earth Angel” at the Enhancement Under the Sea dance. After the band went into “Shake Like the Devil,” their last song of the night, one with an up tempo, fiery cadence to it that could easily induce foot stamping and hand clapping. After the song, I looked around, and noticed the bar was empty except for myself and a couple of bartenders. While all the while, the sidewalk in front of Shrunken Head Tropic Lounge, a Tiki Bar across the street was bustling with activity. It was the first time I had checked out the nightlife in Jefferson City, which included a fair amount of summertime activity downtown, and for some reason, I assumed more people would’ve shown up to see this band. I was amazed that the amount of people, or lack thereof, seemed to have no negative impact on the band. They didn’t seem to be phased by it. The Flood Brothers were there to play anyway. For more, follow The Flood Brothers on Facebook here.